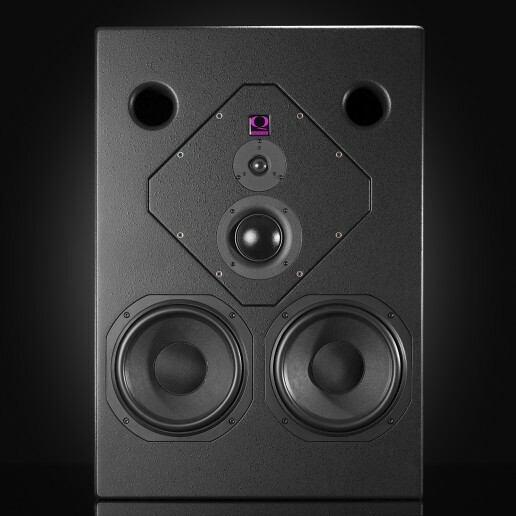 The largest of the three way passive monitors is the HQ210. With two 10” LF drivers along with a soft dome mid and a soft dome high mounted in a rotatable baffle, the HQ210 can be used vertically or horizontally. As with all the passive Quested monitors a hand built crossover network is employed that offers a very efficient and transparent performance. Designed to be a midfield main monitor for use as either a soffit or free standing system. The HQ210 is the most powerful passive monitor in the Quested range. Recommended partner amplifier is the Quested AP1550-2.